WASHINGTON—The focus of the troubled 15-year U.S. Agency for International Development program to develop a malaria vaccine (The Scientist, July 10, 1989, page 1) has moved from the laboratory to the courtroom as government investigators charge that an attempt to halt a Third World plague may have been used by some scientists as a source of personal gain. One of the leading scientists in the research program has been indicted on felony charges, and at least two other technical investigators plus a former manager of the program are targets of further probes. 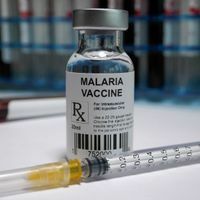 Moreover, charges of financial mismanagement and incompetence have led some researchers to question the scientific merits of the search for a cheap and universal vaccine against malaria. 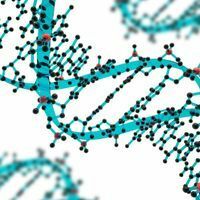 Two scientists have told The Scientist that they now believe earlier test results are suspect, and that so-called breakthroughs have produced results that could not be duplicated by other labs. The $100 million AID research program represents the country’s largest single contribution to the prevention of malaria around the world. 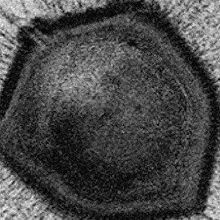 It has been under way for 14 years with no viable candidate vaccine for field testing,despite AID predictions in 1985 that trials would be complete by now. The disease affects as many as 300 million people and claims 3 million lives each year in Africa, Asia, and South Amenca. Current attention is fixed on Wasim Siddiqui, a microbiologist who until last year led the vaccine project in the University of Hawaii’s Institute of Tropical Medicine. Last month he and his administrative assistant, Susan Lofton, were indicted on six counts of theft, criminal solicitation, and conspiracy. The indictments charge Siddiqui and Lofton with having taken about $134,000 in funds that were given to the university to conduct an International Workshop on Malaria, later known as the Asia and Pacific Conference on Malaria. The conference was held in April 1985 at the Pacific Beach Hotel, and the illegal activity is alleged to have begun in December 1984. The charges, filed in the Oahu state district court, are the result of a two-year investigation by AID’s inspector general, following up on a tip from a university informant. Informed sources within AID said that similar investigations are going on at two other universities involved in the vaccine project and that another indictment is expected soon. Siddiqui, 56, who has denied the charges through his attorney, has been removed from the Hawaii project at AID’s insistence. This year the project has received about $1.6 million in research funding from the agency. Left hanging is the question of the integrity of the research. One scientist directly involved in the field believes that the results from Siddiqui’s team are now suspect in light of his indictment. The suspicion is made more troubling by the fact that Siddiqui was a “star of the AID project, which was launched after no other U.S. or international agency was willing to commit a major investment to combat a Third World disease. Siddiqui, a native of India, has been commended by the Hawaiian state legislature for his work in developing a vaccine that successfully immunized laboratory monkeys against Plasmodium falciparum, a strain of malaria often fatal to humans. In 1987 he was honored by his university for “finding the first promising candidate for a malaria vaccine.” But other scientists have called the claim spurious, pointing out that at no time—neither then nor today—has there ever been a viable candidate. In one’ letter to university president Albert Simone, a tropical medicine researcher cited Siddiqui ‘s own testimony that his discovery was not feasible unless another substance was added in such quantities that it would make the vaccine toxic to humans. Other researchers say that some of Siddiqui’s findings, including the growing of the malarial parasite in vitro, are similar to work previously published. The indictment is the latest blow. to a program that is no stranger to controversy. The program’s former manager, entomologist James Erickson, was removed in 1987 after being accused by a co-worker of sexual harassment. The charge was dismissed last year. Erickson remains suspended with pay from his AID position and is waging a vigorous campaign to expose what he believes is a massive cover-up of mismanagement and possible fraud by the administrator of the AID project, the American Institute of Biological Sciences (AIRS). Just as tenaciously, and with considerably more resources, AID’s office of the inspector general continues to investigate the links between Siddiqui and Erickson. It has presented evidence to six federal grand juries since 1987. Although none has handed down indictments, AID sources say that the investigations will continue. In the meantime, Erickson has won a Pyrrhic victory in federal court. A precedent-setting ruling in his case allows government employees to sue contractors for alleged misuse of public funds, as well as giving them the chance to share in the proceeds of such suits. Erickson’s suit against AIBS was dismissed earlier this year on a procedural technicality. Not a decision by Judge T.S. Elliott III of the northern Virginia district court opens the way for government whistleblowers to bring their own lawsuits against any organization accused of mishandling federal funds. Hanging over the legal thicket of suits, countersuits, and criminal investigations is a General Accounting Office (GAO) report on the AID project. Scheduled to be completed last June but delayed as auditors found more evidence of mismanagement and slack control by AID, the report is due out this month. People who have been interviewed by GAO investigators say that the report focuses on financial mismanagement and, in particular, on the lack of control over the 1,200 primates in the AID project’s monkey colony. The problem, according to one source within the project, lies in the improper use of a so-called panic message. 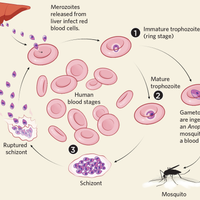 One order that was never implemented would have transferred several primates infected with a resistant form of malaria from the state of Washington, where there are no malarial mosquitoes, to the Centers for Disease Control in Atlanta, where Anopheles mosquitoes are present. Had the order been carried out, the mosquitoes could have served as vectors to spread a form of drug-resistant malaria into the general population. Another recommendation in the GAO report, according to people interviewed by GAO investigators, is for an overall independent scientific advisory review board within AID. Such a board would oversee projects and coordinate government scientific projects such as the blighted program on malaria vaccine. Jim Anderson is diplomatic correspondent for United Press International.